Meet new people, help others and learn something new by volunteering this summer. 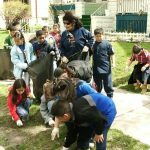 With spring just around the corner, it’s a perfect time to spring into action to serve your community. Volunteer Milwaukee, a service of the Nonprofit Center of Milwaukee, features a calendar full of events for volunteers, both one-time and ongoing. Here are a few of the opportunities in May. Spring is in the air, and you can celebrate by volunteering to help your neighbors. 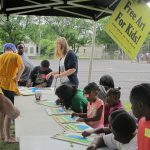 Volunteer Milwaukee, a service of the Nonprofit Center of Milwaukee, features a calendar full of events, both one-time and ongoing. Here are a few opportunities in April.